Water damage caused by leaks, flooding and long winters can take a toll on your home. Our knowledgeable and experienced technicians have the skills to mitigate water damage and restore your home to a new condition. With industry-grade equipment, technical experts and a well-rounded approach we can help you get your home back. Removal/Extraction We have the necessary skills and expertise to effectively extract water and isolate the damage to prevent it from spreading throughout your home. We tackle a range of projects from minor leaks to significant flood damage. Our portable extraction equipment and industry grade water pumps effectively eliminate excess water. We safely remove all water-affected building materials for example: walls, flooring, molding and more. Treatment/Drying We understand the science of structural drying and use state-of-the art equipment to aptly dry all damaged areas. 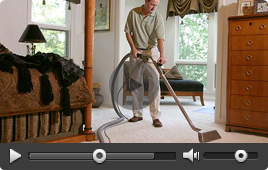 Our expert technicians dehumidify moisture-affected areas to prevent further damage. We use nontoxic disinfectants to eliminate and prevent bacteria, mildew and fungi growth. And use quality deodorizing agents to control unwanted and musty odors caused by the damage. Restoration Our combined expertise in water damage and home renovation enables us to fully restore your home to new condition. We have skills in framing, drywall repair, millwork, built-in cabinetry, flooring and efficiency insulation. Our technical knowledge and quality craftsmanship allows us to take a well-rounded approach to restoring water-affected areas. 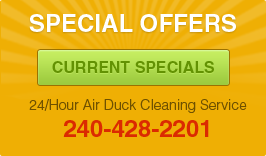 © Copyright 2004 - 2012 by Airduckcleaning.com. All rights reserved.